Vibrant Media Productions is a client-focused and results-oriented video production company based in Orlando, FL. Our team crafts visually stunning imagery into each and every project to consistently create amazing content for all of our clients. We are a fully licensed and insured Orlando Video Production Company with a flawless reputation for professionalism. Our team crafts visually stunning imagery into each and every project to consistently create amazing content for all of our clients. We are a fully licensed and insured Orlando Video Production Company with a flawless reputation for professionalism. 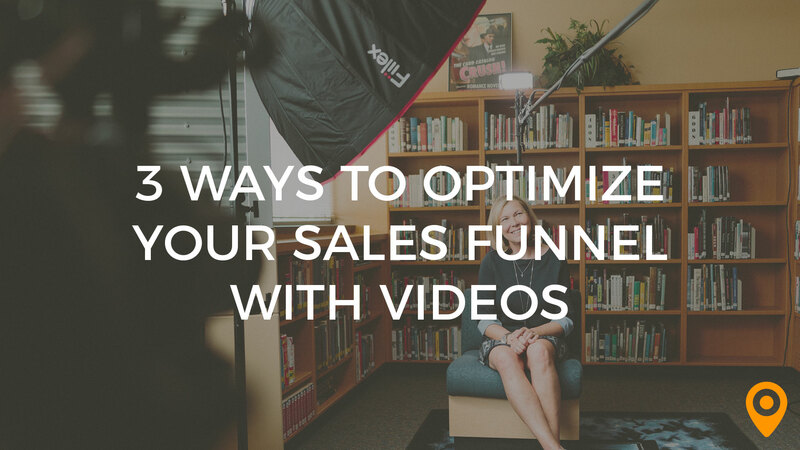 2018 Global Leader in Video Production by leading B2B Research Firm, Clutch Co.
With more than 57% of people watching one or more videos a week on their smartphone alone, marketing videos can easily help you optimize your company's sales funnel. This firm is absolute best in class in filming and editing video. Testimonials, highlights reels, case studies, and even fun music videos. A dream to work with and ridiculously responsive. I've been doing marketing for 20+ years and I've never worked with a better crew. They are like family at this point and we take them wherever we go around the world. Can't recommend highly enough. Nothing bad to say...Chris and Alex will do whatever it takes to make your project a success. 5+ stars. If you are doing ANYTHING with video...this is the company you want to hire. You will not regret it. Vibrant Media did an excellent job from start to finish! They were professional, friendly, and invested in the project. They are incredibly personable, respectful and easy to work with. Flexibility is key and they rolled with the punches as we made last minute changes to our project. They are quick to respond and available to answer any questions you might have, in as much detail as you need. I can't think of a negative thing to say about VMP! Overall, it was an excellent experience working with this crew. We would use them again in a heartbeat. Vibrant runs things super professionally, and really down-to-earth good people. I work as a freelancer with a lot of production/media companies around Florida and the country and I've seen the good and the bad and the ugly. These guys are some of the best around, love working with them. The whole Vibrant Media team is so easy to work with and they ALWAYS come through on all the projects we throw their way. They are flexible, highly knowledgable, and just an overall fun team to work with. My company always has very tight deadlines and we always receive high quality work within days of our shoot. I honestly have no dislikes about working with Vibrant. From the very first time speaking with Alex and Chris from Vibrant it was just a great fit they saw our vision on all the assets that were needed and It's always easy to collab on ideas with the team as well. They really do great work and are a pleasure to work with. The team made themselves available during their busy schedules to go over the details as we gained more information from the client. The day of the shoot, the crew came in took a look at the space, set up, and quickly addressed all concerns - allowing time for talent to practice, shoot, breakdown and edit. We only had 5 hours from set up to edit, and Vibrant worked well with the tight schedule. For out of town clients, I'd recommend Vibrant having someone on call just in case further assistance is needed, the day the video is to go live. The team at Vibrant Media Productions were awesome partners. I’m a producer in Chicago, and one of our clients wanted a same day shoot and edit to highlight their booth at a conference, that would live on Facebook. After finding and speaking with several Orlando based production companies, Vibrant knew exactly what we needed. They provided additional resources that made the shoot smoother, worked well with our budget, and was able to hit our tight schedule and meet our quick deadline. An important part to a successful shoot is the ability to work with your production team, and Vibrant Media was that to us; the brand clients were pleased. They're definitely in our contacts for the next time we're in Orlando, FL. Alex and the guys have been great to work with. They had content turned around in only a couple days and the style fit our brand perfectly. Nothing to mention...we wish we could have had more time with you guys! We are so happy with the way everything turned out and will definitely continue to work with Vibrant Media Productions in the future! Their professionalism and attention to detail is key. I've also learned a lot from them along the way. There is typically some back and forth on getting the editing exactly how we want it, but I think that's normal. However, the end result was better than expected. I would recommend Alex and his team to anyone. They've done a great job for my business time and time again. The quality of their work and professionalism make them a pleasure to work with. I had an overall AMAZING experience. They were attentive and very easy to work with. The quality of the video was AWESOME and they are actually nice people to work with. I've worked with many crews and they were in top echelon of video production! They were timely, professional, and fun to work with. They did their absolute best to meet our needs without fail. Vibrant has an easy-going nature but puts out a top-quality product. The Vibrant team did a great job from start to finish, I found nothing to dislike about this company. I contacted Vibrant to produce several customer testimonial videos, all of which were captured in a single day in a trade-show meeting room. Using a green screen background, all 8 videos we had produced turned out fantastic, with excellent sound and visual quality. Vibrant Media Productions consistently goes above and beyond expectations! They are able to come up with ideas that magnify your company's quality traits in a way that separates you from the competition. There honestly is not anything I least liked. Every level to this video production company is performed at maximum level. They will make sure we are satisfied. VMP staff is a pleasure to work with. Very respectful and patient to understanding the vision of our company so that everyone is on the same playing field and execution is on point. We will continue to use VMP as much as possible.